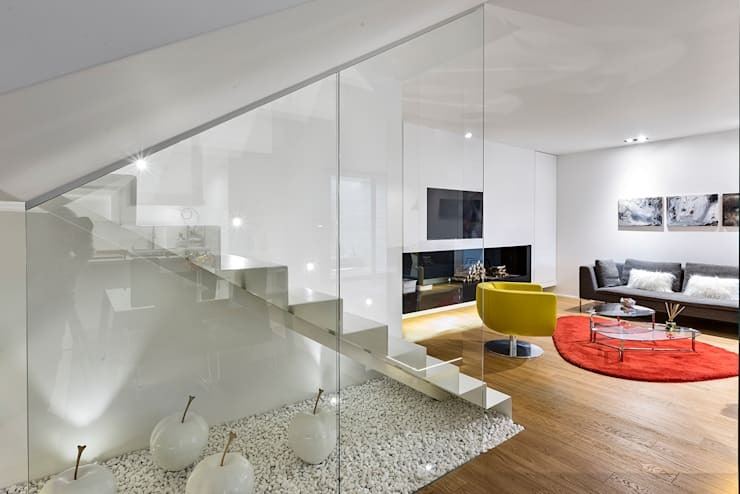 Have you considered the sleek and sophisticated style of a minimalist house? 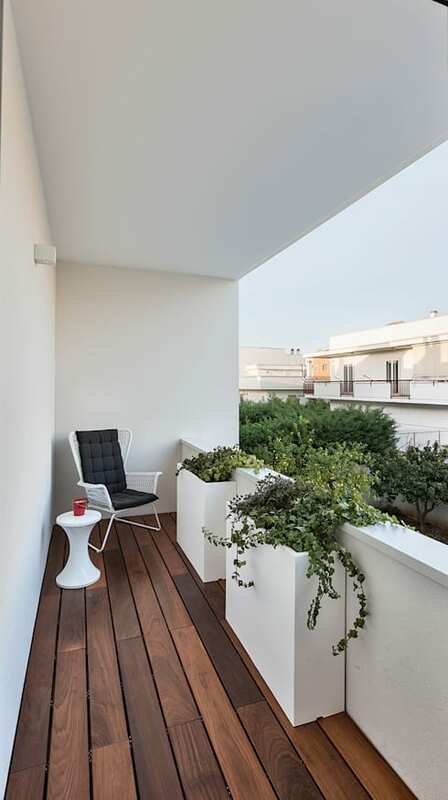 From neutral tones to plenty of natural light and even stylish layout, this terraced home designed by the Italian architect Antonella Laruccia is the perfect choice for a modern family. It features some original elements, unique fixtures and elegant details, which make the rooms throughout the interior a sensational sight. Let's see just how fascinating and jaw dropping this home can be, and with these awesome tips and tricks, you're sure to be inspired. 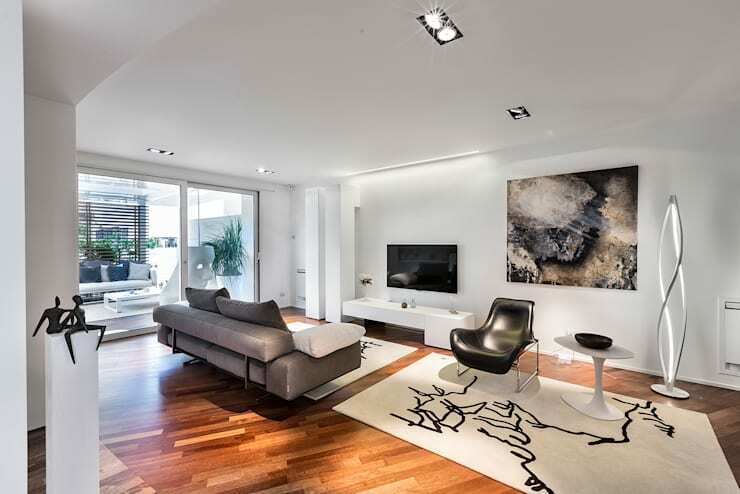 The main living room connects to the open plan living space through elegant and formal decor. 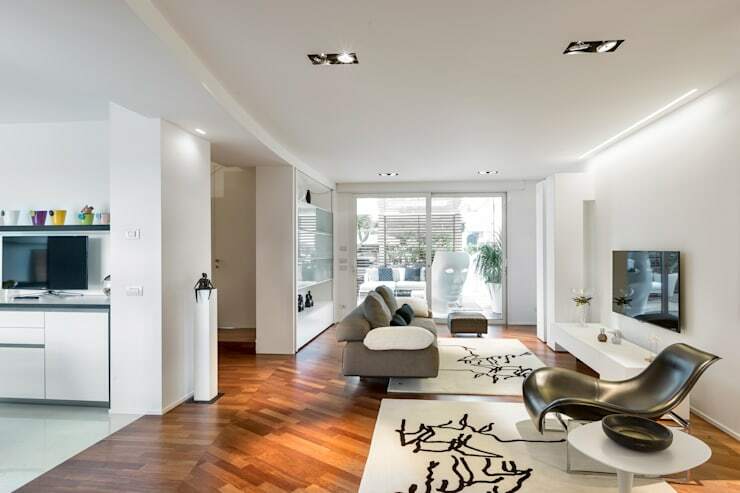 The monochromatic colour scheme, parquet flooring and warm illumination is contemporary and easy to admire, while the modern furniture enhances that minimalist decor. From this perspective you can see just how natural light enhances the decor. 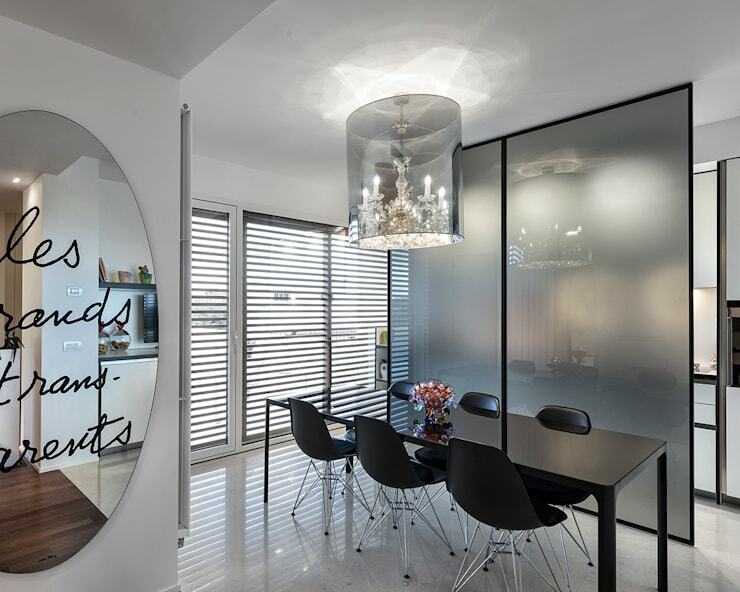 The furniture and modern chandelier of this dining room is refined, attractive and sophisticated, include a sleek colour scheme and now all you need is a refined conversation and dinner guests to match. The staircase is remarkable, the illumination, colour scheme and quirky gravel accessories adds charm and eye-catching design. 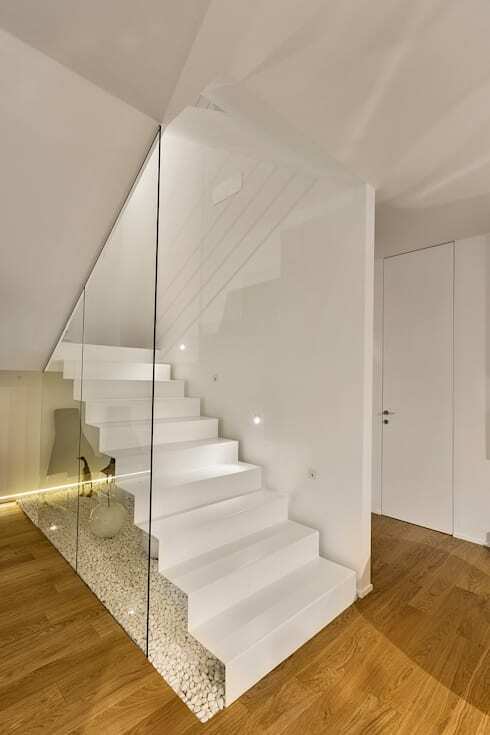 The white stairs fits in with the minimalist decor. 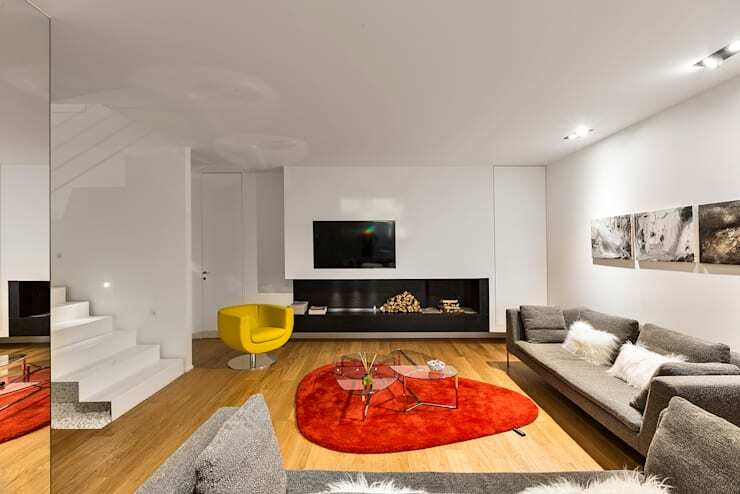 Vibrant colours decorate this warm and welcoming living room in modern yet cosy appeal, the large fireplace makes for added comfort during the chilly evenings. Enjoy fresh air and sights of the city from the breathtaking balcony. 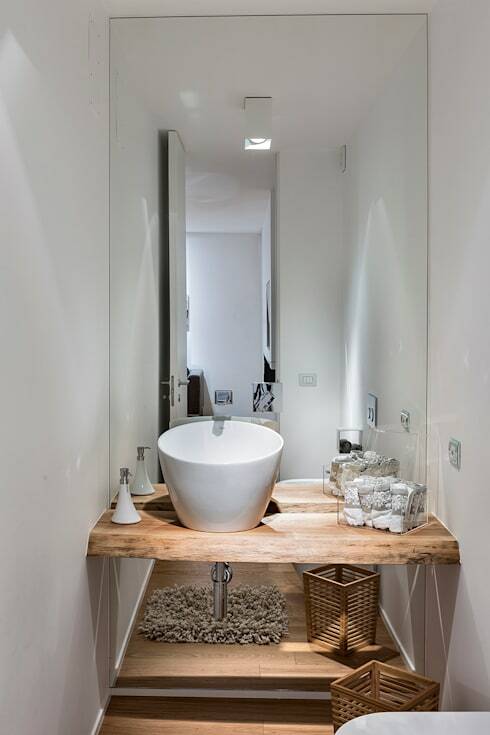 This bathroom has a few eclectic and rustic features, the stone floor and odd shaped basin, as well as the wooden counter enhance the space, while the large mirror is essential for keeping your makeup in place and creates an illusion of a wider bathroom. 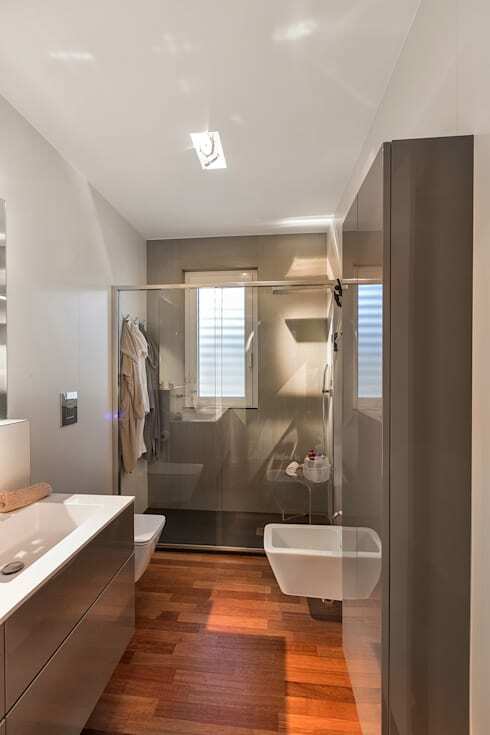 The neutral bathroom colour scheme pairs well with its funky fixtures. 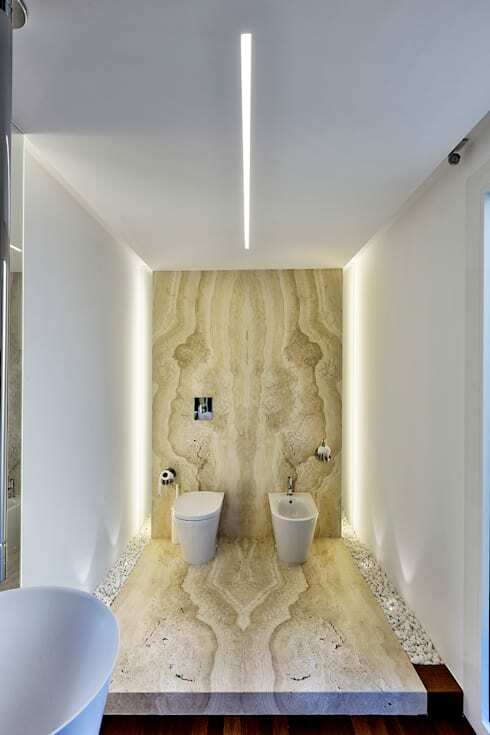 Here we see a spacious bathroom that incorporates everything from chic lighting to neutral colours and even a well-proportioned layout. How about these 11 sensational houses with lots of glass? Would you consider a minimalist home decor?